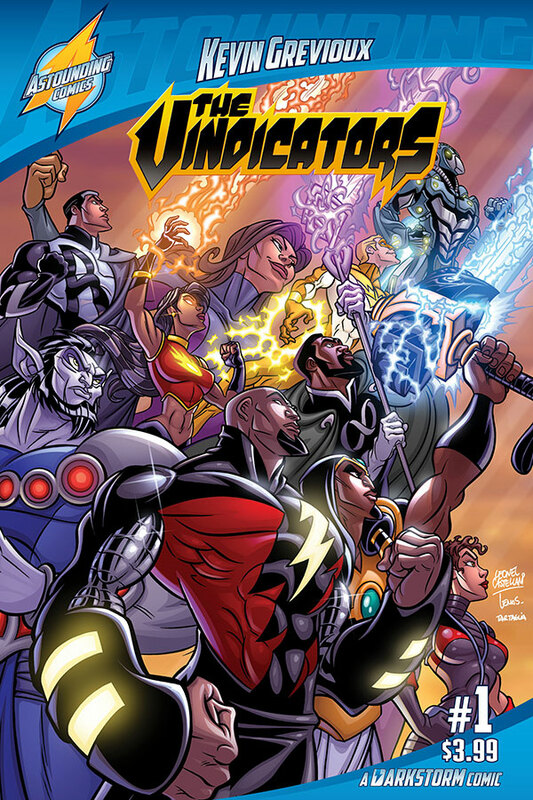 THE VINDICATORS is an action-packed high-octane superhero series in mold of the Justice League, the X-Men and G-Force: Battle for the Planets. This series begins on a parallel world in which Africa is the center of the world and not Europe. In this universe, there are many similarities to our own world, but it’s the differences that make it exciting, wondrous and even dangerous at times. On this alternate earth, it was President Fredrick Douglas who freed the white slaves during the Civil War. In the sports world, it was Joe DiMaggio who broke the color barrier in 1947 to become the first white man in Major League Baseball. And it was the great Civil Rights leader Dr. Robert F. Kennedy who was brutally murdered by a racist assassins bullet which cut his life short. When we first meet the Vindicators they have been in existence for quite some time. This is a team of superheroes whose legacy stretches back to the very origins of the group which was founded the 1930’s according to their timeline. More than a team, the Vindicators is a family. An extended family where some of the founding members have had children, grandchildren and even great grandchildren who have served the proud ranks of the team throughout the years.